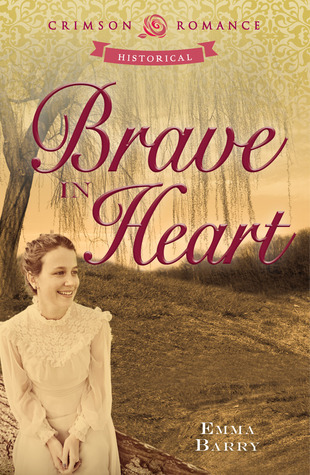 This entry was posted in Soldiers, Spinsters and tagged book review, Brave in Heart, Civil War fiction, Emma Barry, epistolary novel, genre fiction, GWTW, historical romance, love letters, ordinary heroes, reading, romance, romance fiction, romance hero, romance heroine, romance review, wartime romance. While this doesn’t sound like a novel about Gettysburg, I like that you chose a Civil War historical romance for this particular day. There are re-enactments going on this very moment around Gettysburg in honor of the 150th anniversary. Do you think Theo is based on any particular historical figure? Do you think he’s meant to symbolize some latent passivity among Northerners who were slow to champion the war? Oh, I love that idea! I hadn’t thought of it that way, because I was reading him through the romance hero filter, but it’s another way this book is more like a VIctorian novel than a romance novel. At one point the characters have a discussion about Sydney Carton’s act of self sacrifice in Dickens’ A Tale of Two Cities (reminded me of Melanie reading aloud from David Copperfield in GWTW!) — and now I want to go back and read it to see if I am remembering correctly. But I think we hear them disagreeing about whether the heroic sacrifice makes sense. Which would make a nice reinforcement for this idea of Theo representing Northern lip service to the Union cause while Margaret could represent idealism and action. At one point she angrily points out that she is prevented from acting on her ideals because of her gender, but it’s not too much of a stretch to imagine her taking action if she had been in a position to. What’s sort of curious is that when Theo does enlist, she spends much of their final week together acting sullen and put out — it could just be her naked fear of losing him, but it was odd that she seemed so unsupportive after basically goading him into it. All in all, a very interesting and unusual novel! And thanks for reminding me about the Gettysburg tie-in. Some of the photos I’ve seen from this week’s events there are incredibly beautiful. I’ve never been much of a Civil War history buff, aside from my fascination with GWTW as a 13-year-old, but recently I have become much more captivated, probably due to reading some of Drew Faust’s book, combined with watching badass tv dramas like Hell on Wheels and Copper! Terrific, well-written, and thorough review! This sounds pretty wonderful to Miss Bates, who makes a point of reading novels with governess, or schoolmarm protagonists. Also, Victorian Era novels were one of her great loves in … shudder … grad school. And epistolary … her reader cup runneth over. So glad I visited “badass” today!